The School of Ministry is led by a team of leaders who love what they do. We love to teach, equip and pastor each of the students who are brought by God into the School of Ministry. Our permanent team is here year round and is joined by a team of small group leaders who assist us in growth and development of each of the students. Gordon Harris oversees Catch The Fire College, which encompasses our Toronto School of Ministry, our international School of Ministry campuses, and other Catch The Fire College initiatives. Gordon brings his passion for God’s word to the School of Ministry. 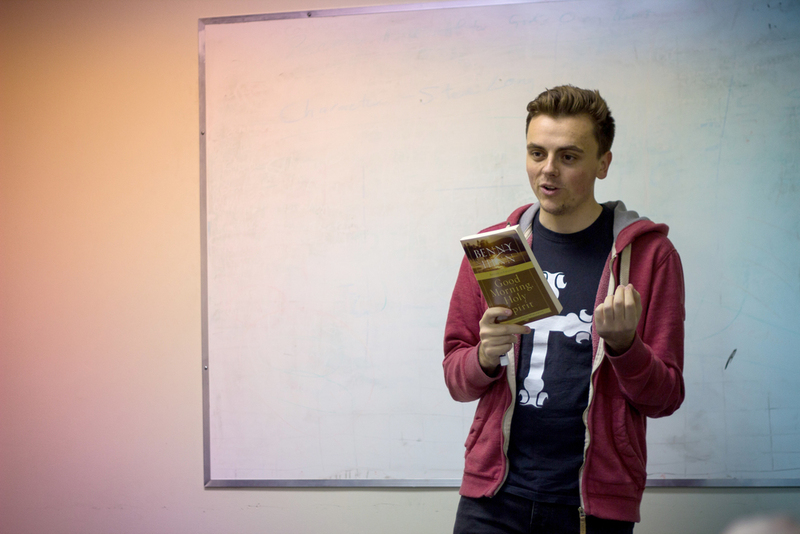 He particularly loves teaching and making the Old Testament come alive to believers. David is passionate about people encountering God in a real way, being transformed by the revelation of His love so that they can change their world. The Small Group Leaders are all graduates of our 5 month School of Ministry who stay as interns with the School of Ministry after graduating. The Small Group Leaders mentor groups of 5-8 students, tracking with the students throughout the school and championing their growth and transformation. The Small Group Leaders also team up to lead outreach teams. We’re incredibly privileged to have regular input and support from the wider team at Catch The Fire Toronto. You’ll meet many of these leaders along the journey.